1Department of Chemical and Process Engineering, Faculty of Engineering, University of Peradeniya, Perqadeniya, Sri Lanka. 2Department of Chemical and Process Engineering, Faculty of Engineering, University of Moratuwa, Katubedda, Sri Lanka. Crude oil is a predominant natural resource and also it causes the metallic corrosion in the industry of crude oil refining due to some corrosive properties of crude oils. In the current research, it is expected to investigate the effect of such compounds of crude oils on the rate of corrosion of seven different types of ferrous metals which are frequently used in the crude oil refining industries. The sulfur content, salt content, acidity, and mercaptans content of each crude oil are determined in order to use XRF analyzer, salt analyzer, and titration methods. A set of equal size metal pieces are immersed in both crude oils separately for 15, 30, and 45 days and their corrosion rates are determined by using relative weight loss after these time periods while observing the corroded metal surface under the optical microscope, and the dissolved metal concentration in each crude oil sample is tested by the AAS. The hardness of each metal piece is tested before and after the immersion in crude oil with the aid of Vicker’s hardness tester. It is found that a higher amount of sulfur, acidity, and mercaptans and lower amount of salt present in Das blend than Murban. We have found there is some significant rate of corrosion from most of the metals and higher amount of dissolved metallic concentration in samples of both crude oils with respect to those metals. It is observed that there is a slight reduction in hardness of all metal pieces due to the corrosion. Khana, O. P. (2009). Materials science and metallurgy. New Delhi: Dhanpet Rai and Sons publication, India. Fahim, M. A., Al-Sahhaf, T. A., & Elkilani, A. (2009). Fundamentals of petroleum refining. Amsterdam: Radarweg Press, The Netherland. Calister, W. D. (2003). An introduction of materials science and engineering, New York: John Wiley & Sons Inc, USA. Davis, M. E. & Davis, R. J. (2003). Fundamentals of chemical reaction engineering, 1st Ed. New York: McGraw-Hill, USA. Singh, R. (2006). Introduction to basic manufacturing process and engineering workshop. New Delhi: New Age International Publication. Bolton, W. (1994). Engineering materials technology, 2nd Ed. London: B. H Newnes Limited, United Kingdom. Badmos, A. Y., Ajimotakan, H. A., & Emmanuel, E. O. (2009). Corrosion in petroleum pipelines. New York science journal, 2(5), 36-40. Speight, J. G. (1999). The chemistry and technology of petroleum, 3rd Ed. New York: Marcel Dekker. Afaf, G. A., Badia, H. A., & Hassan, E. E. (2015). Corrosion management methods of high TAN crude case study: (fula crude oil-sudan). American scientific research journal for engineering, technology, and sciences (ASRJETS), 11(1), 1-7. Oparaodu, K. O., & Okpokwasili, G. C. (2014). Comparison of percentage weight loss and corrosion rate trends in different metal coupons from two soil environments. International journal of environmental bioremediation & biodegradation, 2(5), 243-249. Usman, A. D., & Okoro, L. N. (2015). Mild steel corrosion in different oil types. International journal of scientific research and innovative technology, 2(2), 9-13. Elnour, M. M., Ahmed, M., & Ibrahim, T. (2014). Study the effects of naphthenic acid in crude oil equipment corrosion. Journal of applied and industrial sciences, 2(6), 255-260. Rickard, D., & Luther, G. W. (2007). Chemistry of iron sulfides. Chemical reviews, 107(2), 514-562. Fang, H., Nesic, S. & Young, D. (2008). Corrosion of mild steel in the presence of elemental sulfur. Corrosion conference and Expo. NACE International. Bota, G. M., Qu, D. M., Nesic, S. M., & Wolf, H. A. (2010). Naphthenic acid corrosion of mild steel in the presence of sulfide scales formed in crude oil fractions at high temperature. Corrosion conference and Expo. NACE International. Müller, M. (1982). Theoretical considerations on corrosion fatigue crack initiation. Metallurgical transactions, 13(4), 649-655. William F., S, & Hashemi, J. (2006). Foundations of materials science and engineering. Mcgraw-Hill Publishing. Hassan, N. S. (2013). The effect of different operating parameters on the corrosion rate of carbon steel in petroleum fractions. 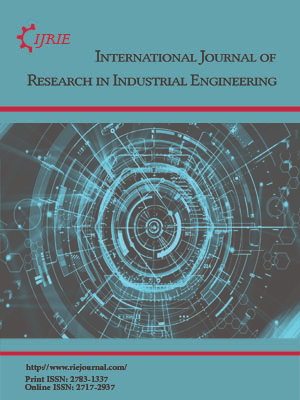 Engineering and technology journal, 31(6 Part (A) Engineering), 1182-1193.